There are many among us who believe a good four-season tent is the only shelter you need to own. If your backcountry ventures take you up in elevation where thunderstorms, wind and plummeting night time temperatures are a normal part of your trip, then consider the Kelty Apex Series Foxhole and Marauder tents. A four-season tent built for all conditions, the Foxhole is an affordable shelter made for camping in a variety of environments. A hubbed, two-pole design combines with clip attachment points for quick and easy set up. 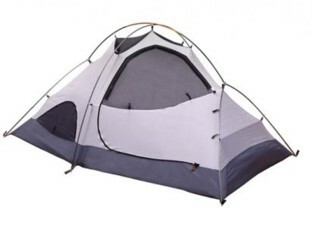 Fusion welded tent floor and fly result in lighter, more durable and fully waterproof seams. The Foxhole has two doors and two vestibules for quick access to gear while a welded window in the vestibule lets you check the weather from your sleeping bag. The Foxhole’s closable mesh panels and vented fly regulate temperature. DAC Featherlite NSL poles reduce weight while adding strength. Available in a two-person version for $379.95 and three-person versions for $419.95. Designed to excel in adverse conditions where reliability is essential, the Kelty Marauder is built to withstand the elements. Five-pole construction keeps the Marauder standing tall in snow, wind and rain while the fly connects securely with side release buckles. Fusion welded tent floor and rainfly are stitch-free, resulting in supremely durable, watertight seams. A large front and smaller rear vestibule provide ample space to stow gear while closable mesh panels and a vented fly regulate temperature. DAC Featherlite NSL poles reduce weight while adding strength and a clear, welded window provides a view of the world outside. Available in a 2-person version for $419.95 and 3-person versions for $499.95. 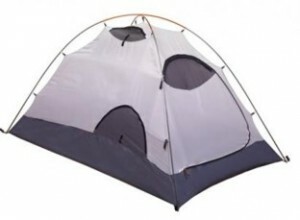 You can see the full line-up of Kelty shelters and backpacking gear at: www.kelty.com .